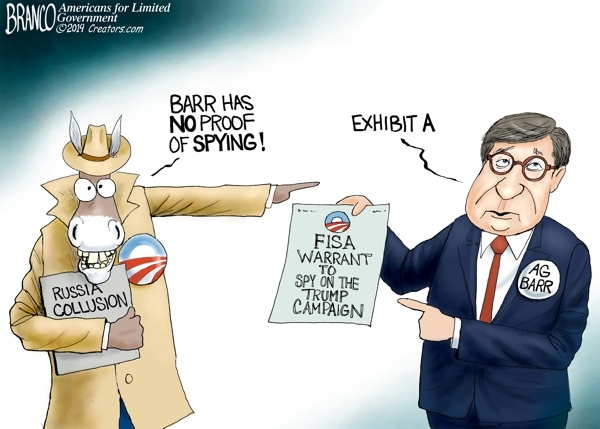 Democrats say there’s no proof of Obama officials spying on the Trump Campaign, but the proof is the FISA warrants obtained for that very purpose. Political Cartoon by A.F. Branco ©2019.